Introducing the loyal and loving Labradoodle! This Poodle and Labrador Retriever mix was bred for hypoallergenic fur and personality traits for an excellent guide dog. As with all crossbreeds though, you never know what you’ll get when you put the parents’ genes in a hat and shake it up. So, no set physical and behavioral characteristics have been established for the Labradoodle. Still, this breed is not known to be aggressive and is becoming the pet of choice for families. Has the Labradoodle caught your eye? Here are some facts you’ll want to know first! Conclusion: Is the Labradoodle the Dog for You? Did you read the intro with the “crossbreeds- you never know what you’re going to get” bit? Straight coat: Also known as the “hair coat” this one sheds the most and is avoided by breeders. Wavy coat: Also known as the “fleece coat”, expect silky waves and non-to-low shedding. Curly coat: Dense, thick curls that have no odor and are non-shedding. The Labradoodle can come is a palette of beautiful colors, such as gold, apricot, caramel, white, black, red, chocolate, blue and parti-color. Standard: 24 inches (60 cm) tall; up to 65 lbs (29 kg) in weight. Medium: 20 inches (50 cm) tall; up to 45 lbs (20 kg) in weight. Miniature: 16 inches (40 cm) tall; up to 25 lbs (11 kg) in weight. A Labradoodle mixed with Miniature Poodle called Mini Labradoodle. If you’re after a particular size, always visit and talk in depth with the breeder about what you’re looking for. No responsible breeder will guarantee that their Labradoodle puppies will definitely grow to be an exact size. But, they can offer information on the parents’ physical background, which can help point you in the right direction. Labradoodle or Goldendoodle? Here’s some insight to help shed some light on these two breeds. Both come from a Poodle mix with one parent being either a Standard, Miniature or Toy Poodle. Both are high energy dogs who love to fetch and swim. Both make wonderful family dogs and do well with children and other pets. The Labradoodle has a Labrador Retriever parent, while the Goldendoodle has a Golden Retriever parent. Labradoodles tend to have shorter coats. The Goldendoodle has a longer, shaggier coat inherited from the Golden Retriever. 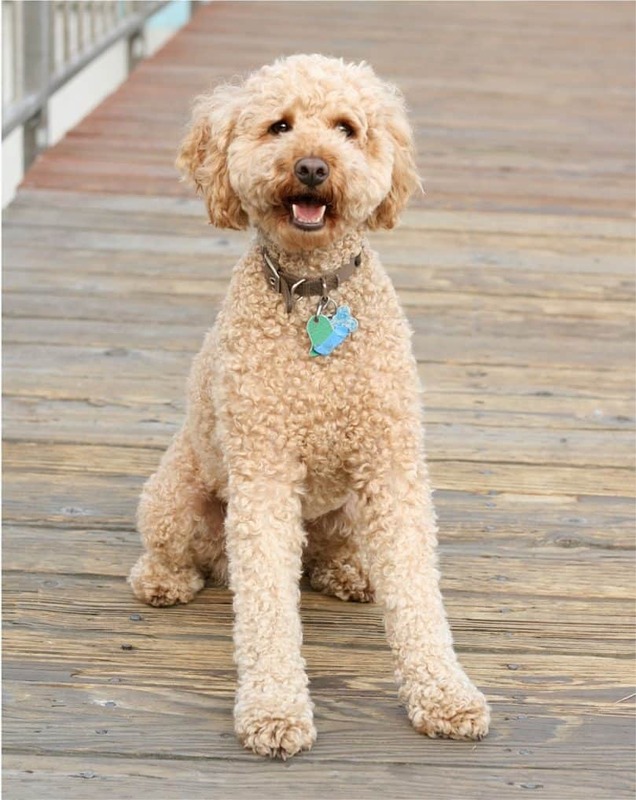 Both are friendly dogs, but Goldendoodles are highly social and not afraid to run up to anyone, while the Labradoodle can be stand-offish, taking time to get used to strangers. You can compare the Labradoodle and Goldendoodle some more in this video. These are two other popular Poodle mixes that are similar to the Labradoodle. You can learn more about the Australian Labradoodle here. This Poodle and Schnauzer mix hangs with the small-sized dogs, reaching 15 lbs (7 kg) in weight. It makes a great companion or service dog. Learn more about the Schnoodle here. She’ll be the one waiting to greet you at the door with kisses or wagging her tail with a ball in her mouth ready for some fun. On movie night, she’ll be curled up right in the middle of the kids, not wanting to miss a second of family time. Though not aggressive, Labradoodle temperament can vary. The best place to get a feel for this crossbreed’s behavior is through the parents. When you’re considered to be the second most intelligent dog breed in the canine world, your genes are going to get attention. That’s where the Poodle stands, with a star-studded background as a good-natured dog and a bundle of talents to boot. 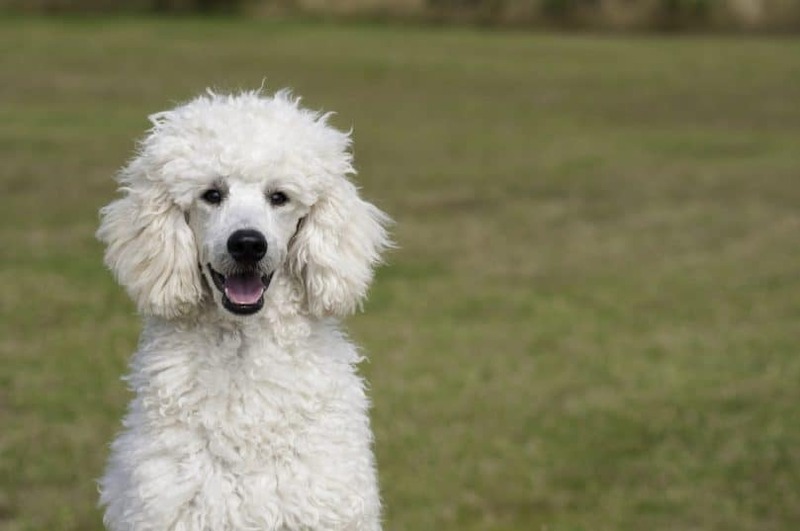 Agility, quick thinking skills and a lustrous coat of hypoallergenic curls have made it an outstanding show dog, as well as a favored breed by those who suffer from allergies. Labrador Retrievers are highly popular in North America and the UK, especially for their use as service dogs for the disabled. Highly intelligent and sharp as a whip, this breed is in-tune with feelings and actions, learning quickly, displaying loyalty and taking on the role of caretaker. As a Retriever breed, the Labrador has a reputation for being a phenomenal hunter and water dog. They love to swim! This is a big dog, weighing in at up to 80 lbs (29–36 kg). Its coat is short, dense and water resistant. It can come in three colors: black, yellow and chocolate. With all those sporty Labrador genes and intelligent Poodle genes, the Labradoodle is not one to sit idle! It’s imperative to give them 30 to 60 minutes of exercise daily, or else you can expect destructive behavior. Watch those leather loafers! Because of their size and energetic personality, plenty of space is recommended for a Labradoodle to blow of steam. That means small apartments and long hours in a crate do not benefit this stimulated hybrid. Take your Labbidoo out for a jog or let her splash in your swimming pool if you have one. Homes with a fenced in yard are ideal for your dog to have some off-leash time to run about and frolic freely. Add in some early socialization to help curb bad habits and control over-exuberance when meeting with children or other dogs. 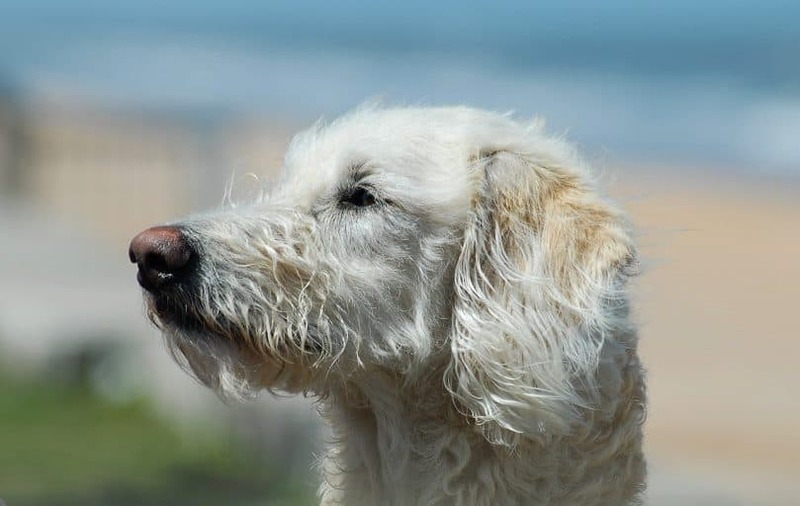 The Labradoodle is generally a healthy breed, but don’t forget that every breed- pure or cross- has its fair share of health problems to be aware of. Elbow dysplasia: These are abnormalities that cause degeneration of the elbow joint. Epilepsy: Seizures that result from an unknown cause. Diabetes Mellitus: A disease in which the body suffers from a shortage of insulin. Specific nutrition requirements differ from dog to dog based on needs and size. For the Labradoodle, use high-quality dog food and divide 1 to 2.5 cups into two meals per day. 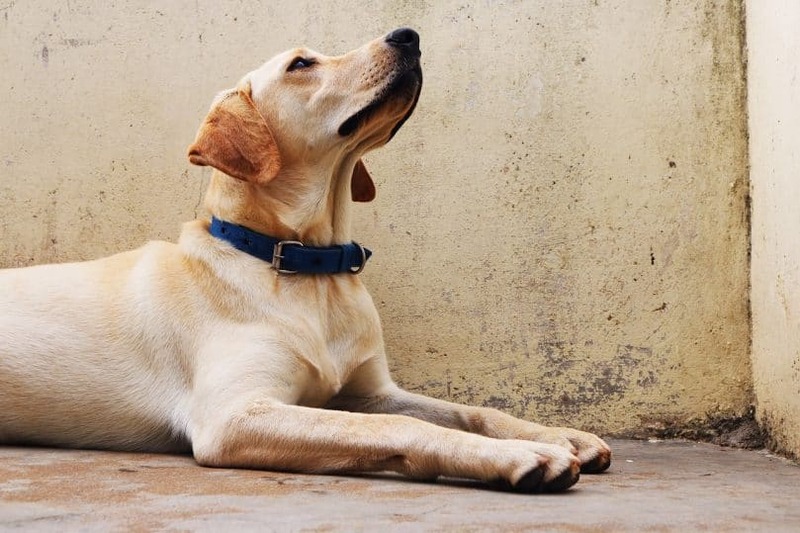 Avoid feeding throughout the day, because they have been known to suffer from gastric torsion like the Labrador Retriever. As mentioned, the Labradoodle’s coat can vary. The thickness and length will determine the sort of grooming needed. Shorter coats won’t require much maintenance- just brushing two times a week. Longer coats will need trimming every six weeks. If you’ve decided that you just can’t live without the adorable Labradoodle, then get ready to enter the realm of breeders and puppy mills. First off, a Labradoodle from a reputable breeder will cost anywhere from $1500 to $2500. Second, soaring popularity has lead to an infection of puppy mills popping up like nasty sores. These are to be avoided at all costs. 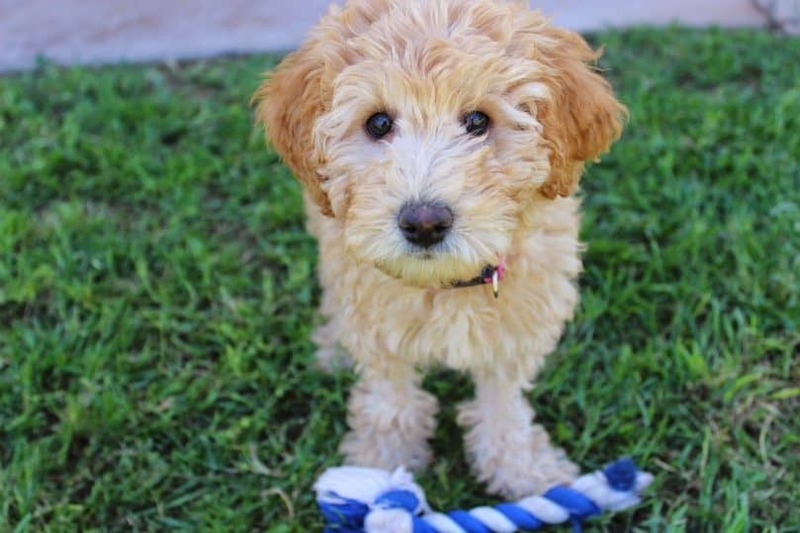 “But, this Labradoodle puppy from this online pet shop looks healthy and it costs $500,” you say. That cute Google derived image of a perfect Labradoodle puppy most likely came from a mill where the conditions are despicable, the puppy’s health background is unknown and the parents (whoever they are) have been overbred to the point of exhaustion. Therefore, the price is cheaper. Do your breeder research thoroughly and visit the premises where the puppies hail from. Ask the breeder questions about the parents’ background and request medical clearances. Then what are you waiting for? The Labradoodle might be just the dog you’re looking for! What do you think about the Labradoodle? Tell us in the comments! My husband and I are thinking of getting a labradoodle puppy and you make a great point that they love to exercise and run around. I think that this would be ideal for us because walking the dog every day will give us great exercise and help us to stay in shape. Also, the fact that they are in-tune with feelings and actions gives me peace of mind that I will be able to get along well with our future dog. I did not want a dog. My wife pestered me for 10 years! My reason was I grew up on a sheep ranch and had many smart hard working border collies. They were cherished but never treated like family pets. They were never allowed in the house. They were more like hired hands and were ruled with an iron fist. I was concerned my expectations on a family dog would be too high. My wife finally rebelled and brought home a labradoodle. I actually LOVE our dog. Everything printed in this article describes our “Chuck” perfectly. He is just as smart as any collie I ever had, except for one. The difference is Chuck is loving,caring and sensitive. Collies are tough,focused and just want to do their job. Everything with Chuck is easy, he will do whatever “family dog thing” you want him to do. I never have to remind him that he is a dog and I am not. I can not imagine a better pet than a labradoodle. What is the difference between a Labradoodle and an Aussiedoodle? Do they have similarities or very different?